I’ve been really into soups lately. This hasn’t happened by accident, it’s actually due to a little gadget I got for Christmas. A lot of the soup recipes I was coming across would finish blending their soup with an Immersion Blender or Hand Blender. I knew I had to have one of these toys. I put one on my Christmas wish list and voila!, a soup maker was born. Because really, making soup and then transferring it in batches to a blender? Ain’t nobody got time for that. 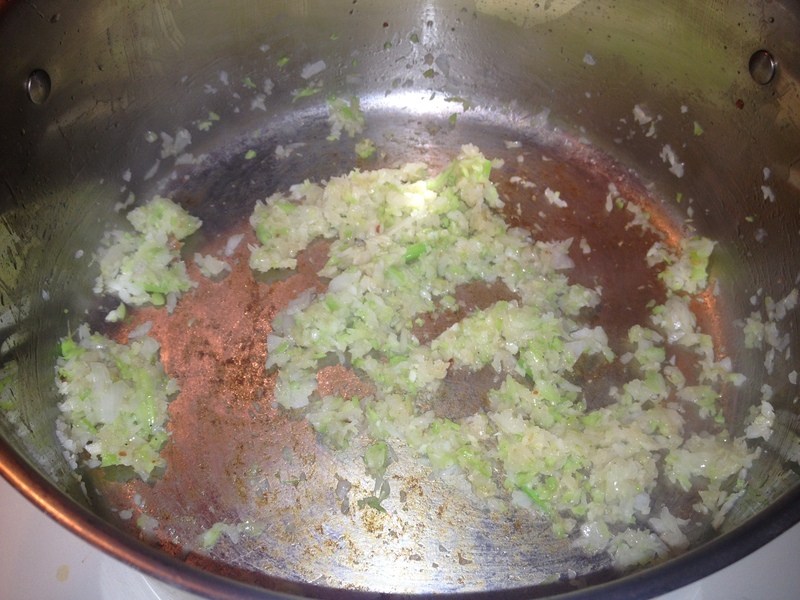 The Immersion Blender is a wonderful tool that lets you blend right in the very pot you made the soup. I will do another post in the future about the Immersion Blender and how wonderful it is. Ironically, this soup doesn’t require blending so not sure how we got into all that. 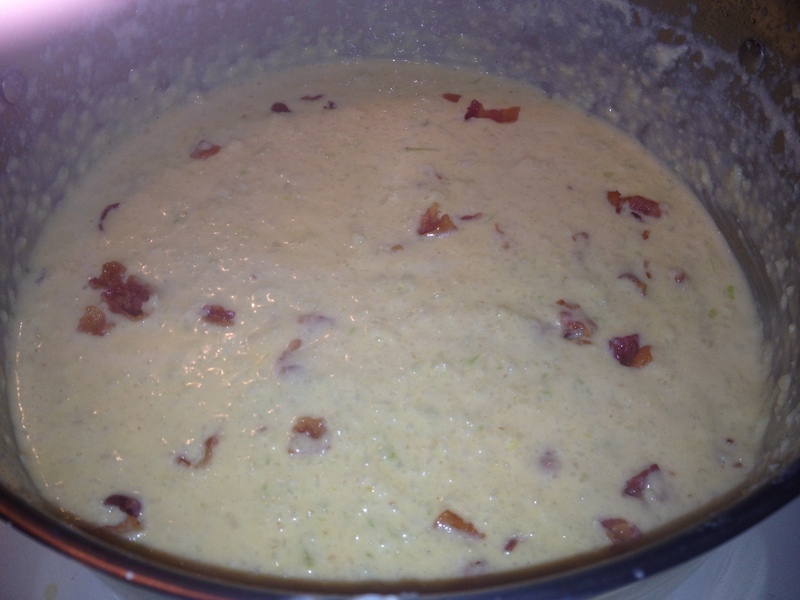 This is a Cauliflower Chowder from the blog Iowa Girl Eats. 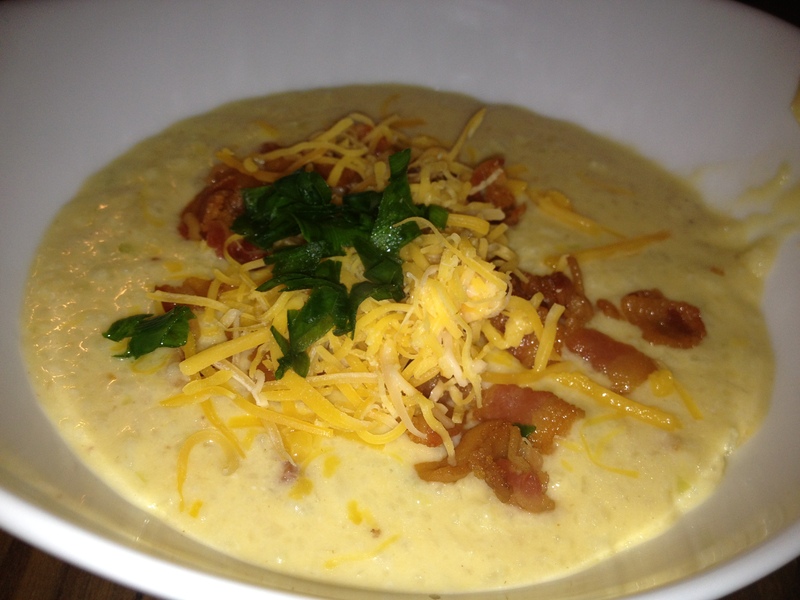 It is supposed to be a healthy substitute for Baked Potato Soup. 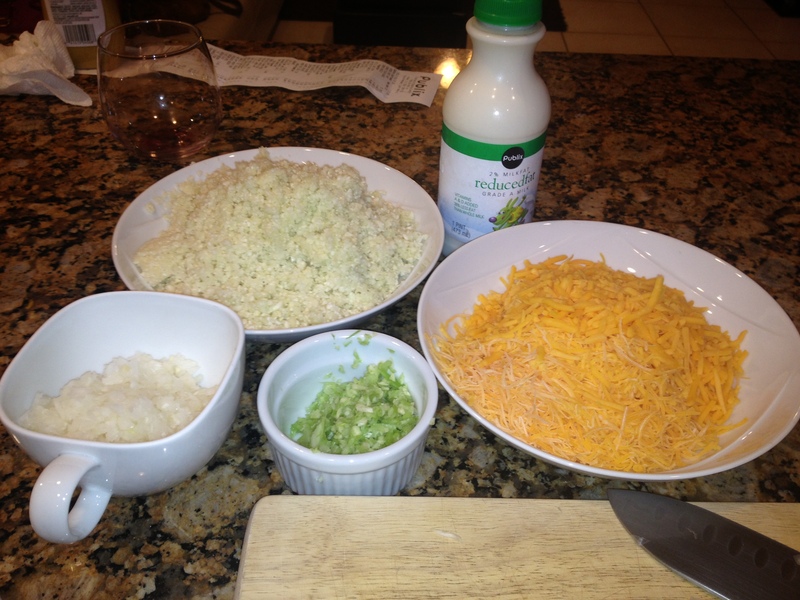 Here’s my pin with the link to the recipe and here’s how it went for me. 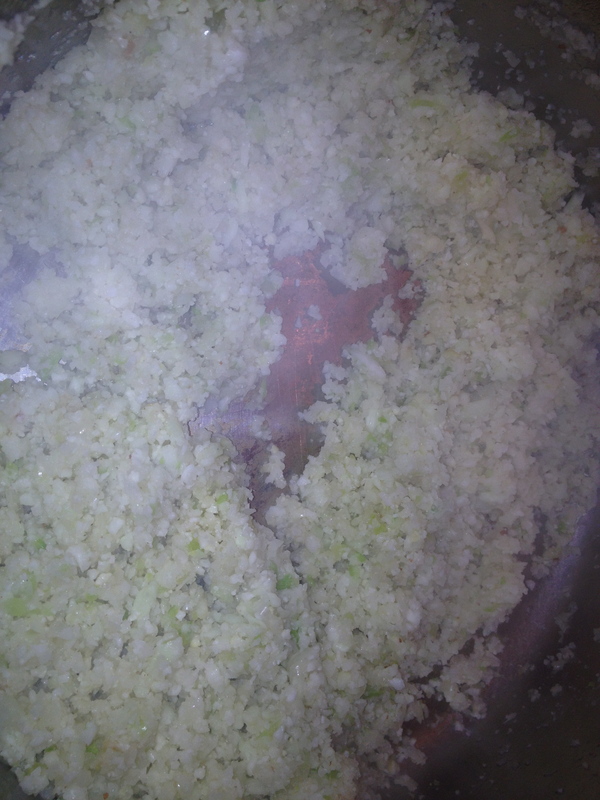 Here are your main ingredients chopped up: Cauliflower (duh), Onion, Celery and Cheddar Cheese. It also calls for chicken broth, milk, garlic, hot sauce and bacon. Hmmm, bacon. Can’t you just hear that bacon sizzle? 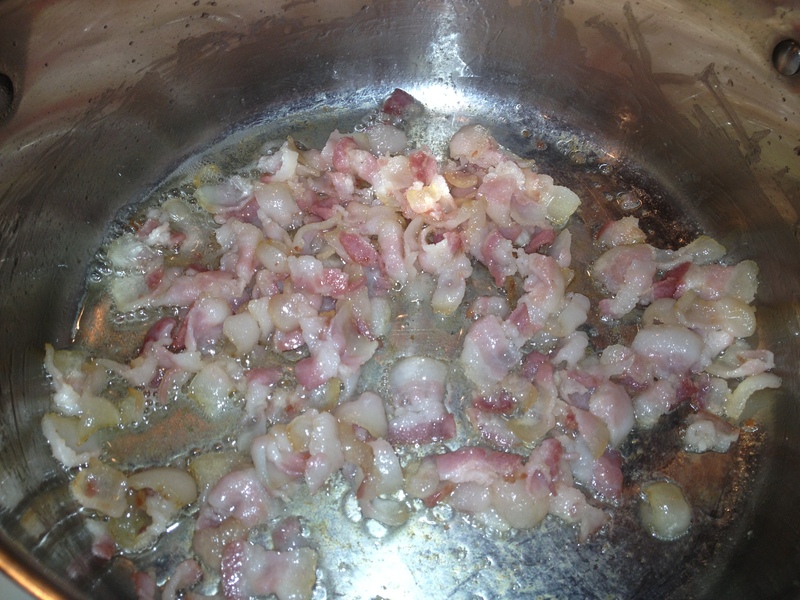 Garnish with some cheddar cheese, more bacon and green onion. And there, my friends, you have yourself a nice little cauliflower soup. Of course that’s my Cliff Notes version of the recipe. Check out Iowa Girl Eats for the full version. My overall thoughts on this soup are that it was good but then again, what with bacon on it isn’t good? Maybe I give the bacon too much credit but I think it would have been a bit bland without it. But I guess that for a replacement soup that is much better for you than starchy potato soup, it’s a great tasting alternative and I would recommend it. As I said, I’ve been making a lot of soups lately and while it wasn’t my favorite soup ever, it was definitely good and I would try again in the future. Besides my new soup gadget toy, which again wasn’t used here, I’ve been making a lot of soups for easy Meatless Monday meals. (I know this one has bacon and so not completely meatless but just go with it). I will definitely share more of those Meatless Monday meals as well. Please let me know if YOU have any recipe suggestions! And yes, I will work on taking better pictures.